Ok so I have decided, in the last few weeks, that my back porch needs some serious attention. Because I spend so much time at the studio, I have definitely been neglecting my apartment, and especially the back porch. The plan? Replace a few key items, clean it up, and have a summer back porch dinner party. On that note, here are a few of the things I've been coveting and using as inspiration for my back porch summer overhaul. Firstly, my new-found obsession with all things Gallant & Jones. 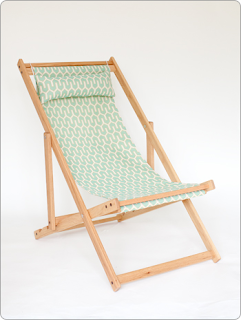 They make simple, beautiful handmade deck chairs, stools and more in British Columbia. I love their bright gorgeous patterns and the fact that they're handmade in Canada. 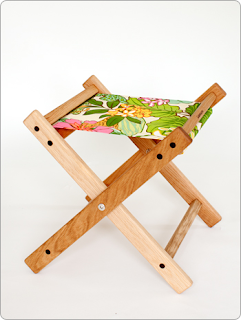 Especially like the TYHEE chair and DIANI stool, below. 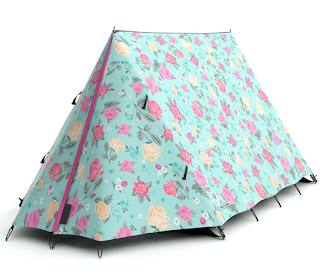 I also love this tent! Not that the back porch has room for a tent, so not entirely related to this post, but...I'm still coveting it. I am now following their blog, too. 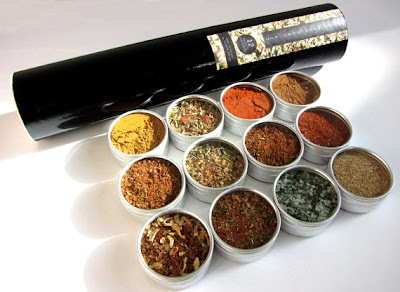 I've also had my eye on the always yummy Purpose Design's grill guru spice kit. Memphis Barbecue, Chimichurri rub, Ancho Chili rub. Need I say more? And from a Montreal seller, no less. And finally, what I would buy if I trusted myself to grow anything or deal with anything living requiring responsibility this summer. 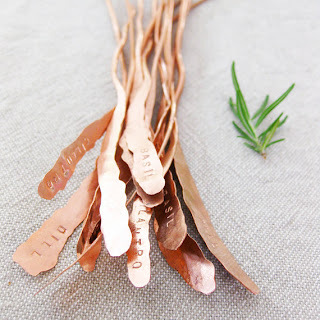 And that's these pretty pretty hammerred copper herb markers from Blisscraft & Brazen. I'm being super picky about tables and can't even make up my mind what kind of thing I'm looking for, so if you have ideas please share! Thanks for coming by to share what I'm coveting agian this week.